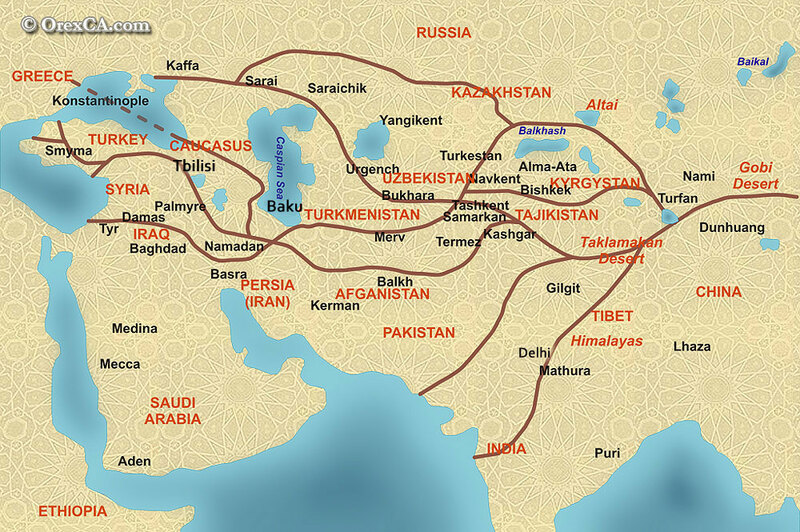 The Silk Road (or Silk Routes) is an extensive interconnected network of trade routes across the Asian continent connecting East, South, and Western Asia with the Mediterranean world, as well as North and Northeast Africa and Europe. Acclaimed as the "greatest route in the history of mankind", the ancient Silk Road (300 BC - AD 100) formed the first bridge between the East and West and was an important vehicle for trade between ancient empires of China, India, Persia & Rome. Dating back 100 BC, the route was a channel for contact between people and cultures, inspiring the exchange of dialogue, art, religion, ideas & technology. With its richly diverse cultural heritage and its wealth of natural tourism attractions spanning across 12000 kilometers of ancient routes, the Silk Road today offers visitors the opportunity to experience a unique network of destinations, following the footsteps of some of the world's most acclaimed explorers such as Alexander the Great, Marco Polo and Ibn Battuta.